For years I had successfully avoided it. I had put myself through extreme discomfort, near-accidents, and weird waddling walks. But the day came that I couldn’t keep putting it off, and it was out of extreme necessity that I had to do the hardest thing I ever had to do. 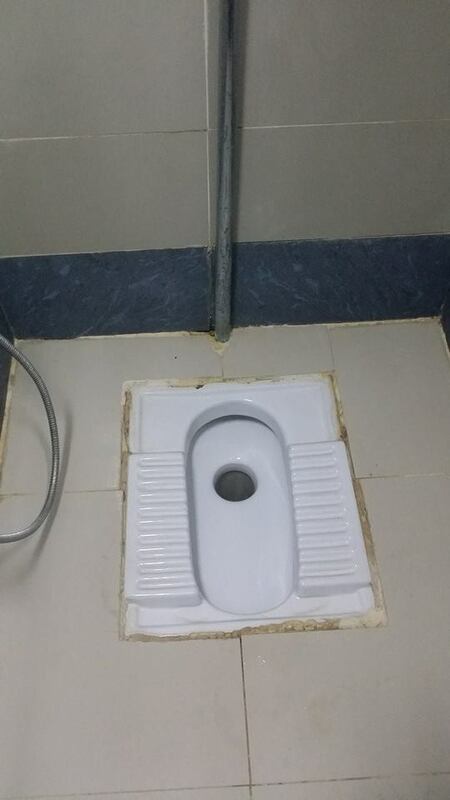 I finally found myself face-to-face with an Arabic toilet, and a full bladder, and there was no way it was going to end well… but it probably couldn’t be worse than peeing my pants. I gazed upon the hole in the floor for a few minutes, trying to figure the logistics of it. Where do I put my feet, should I remove my leggings, where exactly do I position myself? With the weight of 1.5 liters of pressuring my insides for release, I didn’t have a lot of time to think about this. I mean, I have peed a million times before, right? Surely it couldn’t be that difficult. I positioned myself over this gross hole, and opened the flood gates. My sweet, sweet relief was cut very short when I realized that I had peed in the floor. I couldn’t stop, so I had to try to find a way to move myself back while at the same time taking care not to continue peeing in the floor. When I FINALLY finished, I used the little water hose thing beside the toilet to clean the floor and hide my shame. The next day I was beyond excited to find out we had an entire row of American style toilets at the Uni. No more holding it till I feel like dying, or peeing in the floors.